Did You Know These Facts About Chiropractic? Chiropractic is the 2nd largest primary health care profession, with approximately 60,000 Chiropractors in active practice in the USA. Tens of millions of Americans choose chiropractic services, and this number is growing rapidly. Chiropractic procedures are performed nearly one million times every working day in the United States. Health care records have consistently shown that Chiropractic is the safest and one of the most effective health care options available to the public today. Chiropractic care focuses on your nervous system’s relationship with your spine. Your spinal column houses a critical part of your body’s nervous system, the spinal cord, which is responsible for the transmission of nerve impulses (or messages) to and from your brain. This free flow of nerve impulses allows your body to function properly. Interruption of nerve flow can lead to pain, disability, a lowered resistance to disease and an overall decrease in the quality of life. A spinal malfunction can interrupt this flow and affect the nervous system, causing pain, muscle and organ dysfunction and other imbalances. Chiropractors use the term “subluxation” to describe such disruptions. The vertebrae of the spine may become misaligned through trauma or repetitive injury. The removal of that interference has been shown to have significant, lasting health benefits. 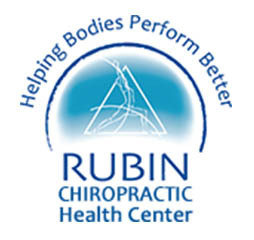 Your chiropractor will try to restore normal nerve expression by adjusting the subluxation. Restoring misalignment to a more normal position allows your nerves to properly communicate with the rest of your body. Then your body can heal itself – safely and naturally. Chiropractic care is non-invasive, therefore, the body’s response to chiropractic care is far more predictable than its reactions to drug treatments or surgical procedures. Of the nearly one million adjustments given every day in this country, complications are exceedingly rare. Certain lifestyle changes such as nutrition, exercise and sleeping habits, for example, assist in your well being and may relieve symptoms. Your chiropractor should discuss these areas of health with you. When appropriate, chiropractors consult with and refer patients to other health practitioners. Who Can Be A Chiropractor? Doctors of Chiropractic (DCs) receive extensive, demanding professional education on par with medical doctors (MDs) and osteopaths (DOs). 4 years of graduate-level instruction, an internship at an accredited chiropractic institution and comprehensive knowledge of all systems of the body and diagnostic procedures enable your DC to thoroughly evaluate your health, and determine the need for referral to another health care provider. Chiropractors are licensed in every state and must pass a 4-part exam with the National Board of Chiropractic Examiners. Chiropractors may recommend exercises, changes in diet, nutritional supplements, but do not prescribe drugs or perform surgery. Is Chiropractic Recognized By The Government? Yes. Chiropractic is included in Medicare, Medicaid, Federal Employees Health Care Benefits Programs, Federal Workers’ Compensation and all state workers’ compensation programs. DCs are authorized to be commissioned as health care officers in the U.S. Armed Forces. Doctors of chiropractic provide effective, low-cost health care for a wide range of conditions. Studies conducted according to the highest scientific standards and published by organizations not affiliated in any way with chiropractic institutions or associations continue to show the clinical effectiveness of chiropractic care. Therefore, coverage of chiropractic by insurance plans is extensive. Chiropractic’s drugless and preventive approach to good health makes it appropriate for infants, children, teens, adults and seniors. Chiropractic is most often used to treat problems with the muscles, joints, bones and connective tissue such as cartilage, ligaments and tendons. Doctors of chiropractic do not treat symptoms, though a triggering symptom may be the initial reason why a patient comes to our office. The Chiropractor instead attempts to get to the root cause of the problem you are experiencing. Because Chiropractors focus on the spine, there is a misperception of the DC being just a “back doctor”. Doctors of chiropractic are a highly appropriate resource in matters of work-place safety, stress management, injury prevention, postural correction and nutritional counseling. Research has shown chiropractic therapy to be effective in treating low back pain and to be helpful in treating neck pain and headaches. Some chiropractors specialize in sports injuries, neurology, orthopedics, pediatrics, nutrition, internal disorders or diagnostic imaging. Chiropractic is licensed for the care of children of all ages, although a chiropractor does not adjust a child the same way as an adult. Spinal trauma can occur during birth, as well as from tumbles while learning to sit up or walk, so even infants benefit from chiropractic care. How Often Should I Go To My Chiropractor? We believe it’s much more important to prevent diseases than wait for them to occur. Regular spinal maintenance should be discussed with your Chiropractor to help your body function at its optimum level – naturally and without drugs.